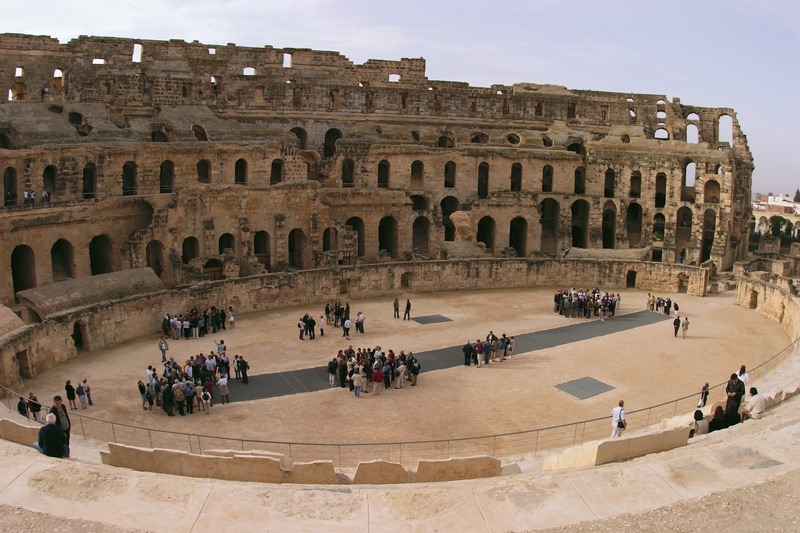 The Amphitheatre of El Jem is located in the town of El Jem or Thysdrus, as it was known in Roman time, in central Tunisia. 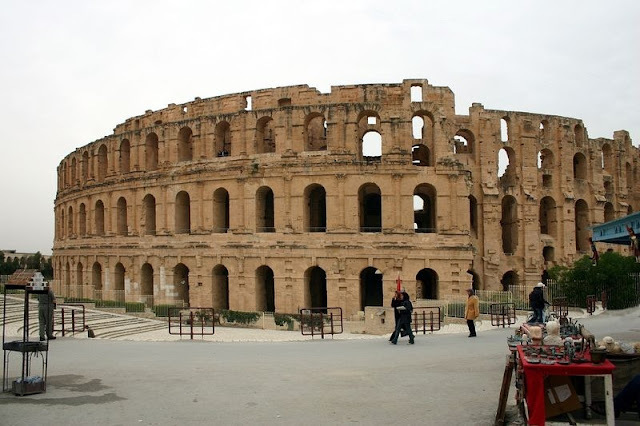 Modeled after the famous Colosseum of Rome, this impressive monument is one of the most accomplished examples of Roman architecture of an amphitheatre, almost equal to that of the Colosseum itself. It has a seating capacity of 30,000 people, stands 36 meters high, and has a diameter of nearly 150 meters. 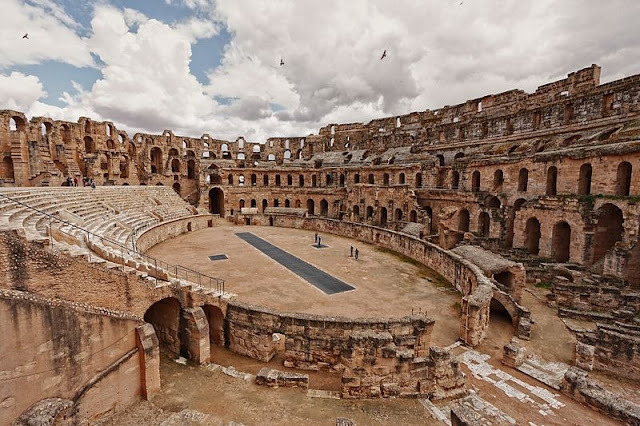 Only the great Colosseum in Rome and the ruined theatre of Capua are larger. 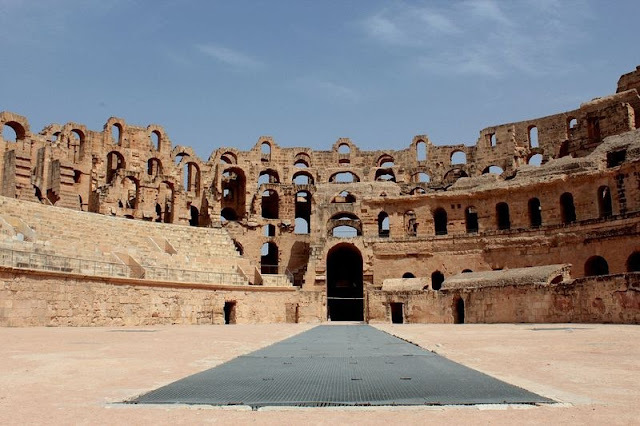 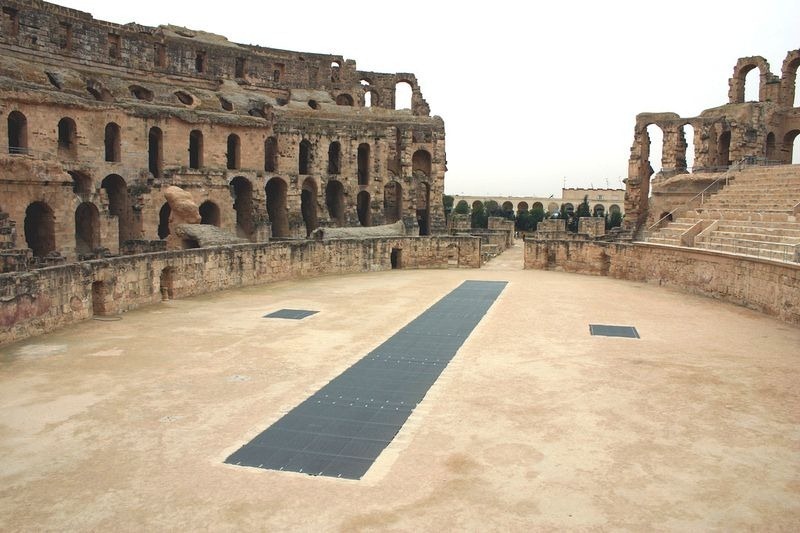 The Amphitheatre of El Jem was built in the early 3rd century under proconsul Gordian, and was mainly used for gladiator shows and small chariot races. 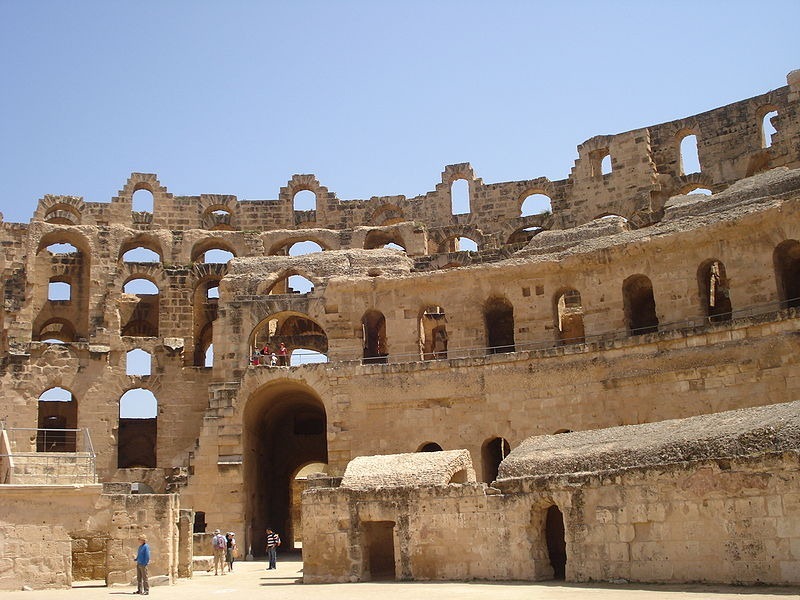 In those times, Thysdrus was an important center of olive oil manufacturing which was exported in huge quantities.